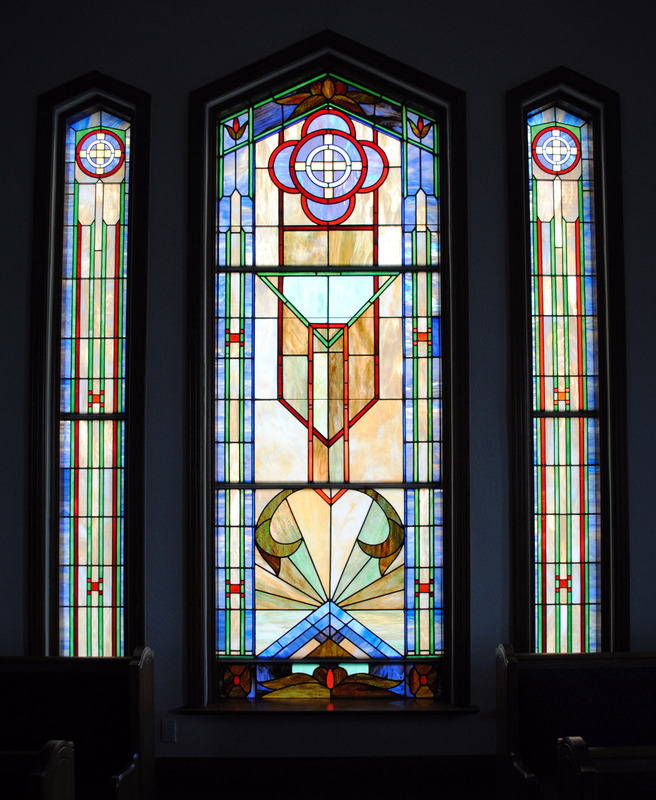 This window is located at the rear of the chapel facing the street where the entry is. The Amusement hall was built first, just after the creation of the ward in 1924. After the Hall was completely paid off in 1936, the building was dedicated, and work began on the Chapel. By 1938, the Chapel was completed, paid off, and dedicated by David O McKay. The design of this meetinghouse was done by Church Headquarters as one of the Department Projects, most of which were actually designed by Joseph Don Carlos Young.